The acculturation of remote working has allowed professionals to work flexibly but many will concede that their home is not the most focus venue for working. Home comforts, for some, can be distracting to the point of inefficiency, while others become unfocused due to isolation and lack of team interaction. Many professionals choose to work from coffee shops, libraries or intimate, low-cost coworking spaces to restore lost motivation. There is another solution for those lucky enough to have the space to accommodate a few desks. The cloud and high-speed residential internet have made it possible for anyone to set up such a co-working space, so your sleepy home or small office can become a hive of activity. In fact, Abodoo research estimates that in the next four years, the number of co-working hubs will increase by a whopping 90% globally. Let’s start with the basics — hot desks — unassigned temporary seats with ample space for a professional to work. Each desk should be segmented depending on what your pricing structure is. For some professionals, this is all they need. A space to work. The majority, however, require a high-speed internet connection to stay connected to their colleagues, clients and cloud-based applications. If you’re hosting up to ten people, anything below 100mbp/s could be problematic, unless Quality fo Service settings have been set up. Smart workers often hail from technology fields and require a sufficient amount of bandwidth to work unimpeded. Really, you will find tenants who would happily work coworking space with a handful of desks and a high-speed internet connection. There are a number of essential services a coworking space manager needs to monitor. Want to make a quick splash? Offer free coffee. However, for the more discerning remote worker, these facilities are the makings of an excellent working experience. Meeting Room(s): One room with a four-seat minimum and a VoIP-powered Polycom conference phone. Kitchen: Teas, coffees, a kettle, mugs, delph, an oven and a microwave. Snacks and surprise treat days are a welcome bonus but inessential. Bathroom: A regularly resupplied bathroom with sanitary facilities, soaps, clean towels, and a never-ending supply of toilet roll. Weekly Cleaner: You may be joined by professionals but they’re often the opposite of a professional cleaner. Hire a professional cleaner (unless you want to clean the bathroom). Shower (Bonus): Help your coworkers maintain their work-life balance and keep clean. Starting a coworking space is easier than you’d think, providing you live in a prime location. Research the area and determine how easy it is to arrive at your location. 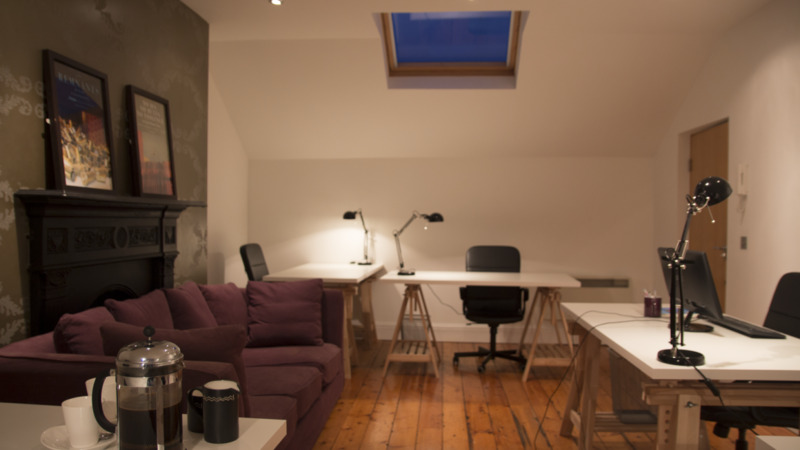 The Baggot Coworking Boutique, for example, is a small, brand new space on Upper Baggot Street, Dublin 4. The area has a particularly high premium (availability and price) on office space, so flexible working is often preferable, despite being in the hustle and bustle. 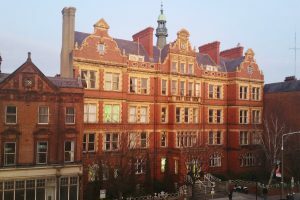 Baggot Street is perfect as it’s near public transit links, amenities such as restaurants, supermarkets and banks and is just far enough outside the city centre. As you move further into the suburbs, simply assuring people that they’ll be working remotely but remain connected via transit, internet or another solution is enough to fill your desks. Depending on your availability and access to reception services, it may be worthwhile to stick with a monthly subscription plan. This will decrease turnover and overall administrative costs, create a culture of familiarity and incentivise a broader market. For longer term lets, be sure to request a refundable deposit for any unexpected expense incurred from their stay. However, should you want to offer your coworkers more flexibility, try dedicating a desk to daily and weekly packages. That way, your monthly customers will still be accommodated for and you do not lose out on extra revenue. The scope of your space determines the time spent on your marketing efforts but you can easily establish a digital presence with a website and some social ads. Squarespace, WordPress and Wix offer a range of intuitive website tools with drag and drop templates that make it easy to bring your space to life (without the need for coding). 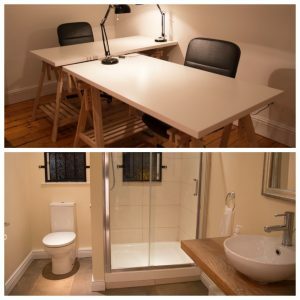 The Baggot Coworking Boutique, for example, was completed in an hour using Squarespace! The Space: What makes your space unique, exclusive, collaborative, engaging? Meeting / Conferencing: Notably, coworking space contact Blueface for global conferencing solutions as their customers need to be globally connected. High-Speed Internet: Goes without saying but just in case. Workplace Flexibility: Smart workers want smart office solutions. 24/7 access is a big boost. Facebook and LinkedIn both allow a variety of advertisements from Facebook carousels (multi-pics, perfect for space) to direct mailing on LinkedIn (for hot leads). Decide what kind of market you want to address and use a platform that suits your idea. Not your standard fayre. Many smart working spots – like WeWork – create a platform to connect with other and former coworkers. Share ideas, advertise services and build a large community of small-scale smart workers. While a conference phone is a must for many startups / small businesses, desk telephony is often overlooked until fixed solutions are found. VoIP and UCaaS, from companies like Blueface, allows users to migrate their number, hardware configurations with the cloud. If they fly the roost, they can bring their phone with them. Pods, pods, pods — plastic gold filled with black gold — and the option to allow your tenants to make coffee instantly is an excellent incentive. If you live or work in an area with ample parking and limited populous, offer a car park space out. You’ll improve accessibility and make people feel more at home. Yes, you’ll find people who live gluten-free, vegan or ultra-healthy but the majority of your coworking desk hoppers would be delighted with the odd monthly pizza. Most professionals graze throughout the day and come to work equipped but who would say no to a Twix or a few Kit-Kats? Effective with little investment. Abodoo is in full support of anything that challenges fixed office spaces. Want to start one of your own? Get in touch with Joe Roche and he’ll help you figure out how to use that big room in the attic to innovate, create and accommodate. 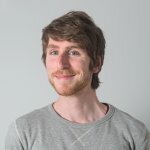 Joe Roche is a keen #SmartWorking advocate and has written extensively about the benefits of remote working / learning, voice collaboration, and cloud communication technologies. If you’d like help figuring out how to use that big room in the attic to innovate, create and accommodate, get in touch with Joe.. he’d be happy to help!